Roughly 10% of all seniors living in nursing homes or using assisted living will be abused every year. That means that nursing home abuse affects roughly 150,000 seniors each year. 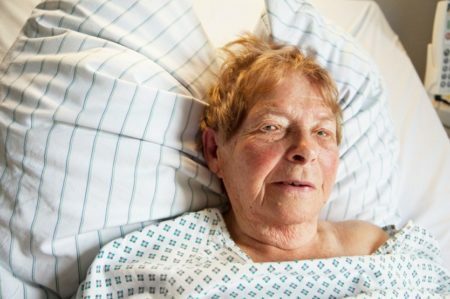 Nursing home abuse is never acceptable, and if this happens to you or someone you love, then you should seek medical and legal help as soon as practical. Federal and state nursing home regulations declare that all residents have the right to be free from nursing home abuse. If you have reason to believe that nursing abuse is occurring with one of your loved ones, then your family has rights. Remember, if it is happening to one person, it may be happening to others as well. When you think of abuse, you generally think of physical abuse. However, abuse can come in many forms. Physical Abuse. Physical abuse occurs when someone else uses force to harm the victim. It not only includes physically hitting a senior, but also includes inappropriate use of restraints. This form of abuse has the most obvious warning signs. Emotional Abuse. If a caregiver or other person causes emotional distress to the senior, then the senior may actually be suffering from emotional abuse. It can come in many forms, including humiliation, intimidation, ridicule, blaming, or even simply ignoring the senior. Financial Abuse. This type of abuse is very difficult to detect. It occurs when caregivers steal or abuse personal property that belongs to the senior. It also occurs if someone tricks the senior into giving him or her money, buying him or her items, or providing financial information. It can also occur where someone tricks the senior or forces him or her to modify their will or other estate planning devices. Sexual Abuse. If a non-consensual sexual act occurs between the senior and other person, sexual abuse has occurred. This also applies to those who are tricked or manipulated into engaging in unwanted sexual conduct. Neglect. Nursing home abuse also includes neglect. Neglect is a failure to provide needed care and basic life requirements, like food and water. It does not matter if the neglect is intentional or accidental. It also includes the failure to react to dangerous situations that could result in physical or emotional harm. One of the most difficult things about nursing home abuse is that loved ones may not be able to always tell if abuse is present. Seniors are sometimes unable or unwilling to assert their rights against their abusers, either because they do not realize they are being abused or because they are unable to communicate. The following is a list of warning signs that may signal either abuse or neglect. If you suspect that your loved one is being abused in his or her nursing home, you should speak to management right away. However, if the staff does not address your concerns adequately, then you can file a complaint with the Florida Department of Elder Affairs. You may also have grounds for a civil lawsuit. Contact an experienced Florida nursing home abuse attorney as soon as possible. The Leifer Law Firm can provide a free case evaluation to help you determine if filing a civil lawsuit is the right option for you. Call us today in our Boca Raton office at 561-395-8055.